Twenty years ago today, I was holed up in my study in our Upper West Side coop pecking away on one of the original versions of the Apple MacIntosh. Ostensibly, I had stepped away from a “part-time” pastoral position the previous summer to complete my dissertation. 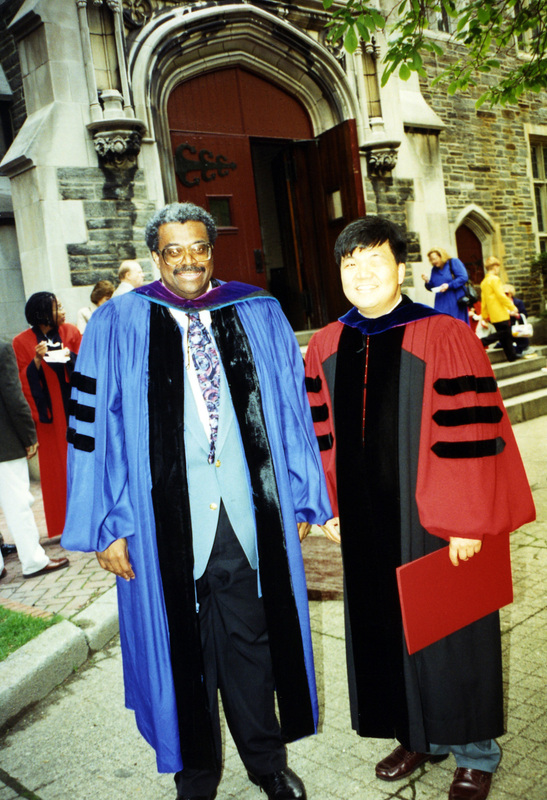 I had been a full-time student in Union Seminary’s M.Div. and Ph.D. program for nine years – as long as Betty and I were married. Our oldest son was born in 1991 and we were expecting another one later that summer. I was also candidating for a position at Denver Seminary (the late Bruce Shelly had just retired). Two years earlier, I almost abandoned my doctoral studies. Not because church ministry felt so much more compelling (it did), but because life outside the student experience was rushing in on me. I wanted to, needed to, move on. But instead of walking away from my studies, I kept on doing the research and writing. I worked intensely day and night and was rewarded with a mild case of carpal tunnel. I completed my manuscript just in the nick of time. The dissertation defense, job interviews, and commencement then raced by so quickly and seemed so surreal. At last, I was able to fully immerse myself into my vocation! Though I’m no longer officially a full-time theological educator and scholar, I’m grateful to have inhabited these circles for so many years. Academia has its flaws, but I will never regret the intellectual vistas and the abiding friendships it provided for me. I owe so much of that part of my life to James Melvin Washington, my doctoral adviser. When I wanted to give up my studies, he convinced me that I had a calling in theological education and academia. Indeed, his own life was a testimony to scholarship as ministry. He practically willed me to complete the race. Less than three years after I was robed, he was dead. Just a few weeks before he died, we talked about collaborating on some research projects. To this day, I wonder how my life would had turned out if not for Dr. Washington’s untimely death (he just turned 49). I may have stayed on the East Coast. Heck, I might still be in academia! In any case, today I felt the need to honor Jim Washington’s legacy and thank God for letting our paths cross. Jim Washington’s scholarship and teaching helped change the dominant narrative of American Christianity by giving African Americans a more central role. 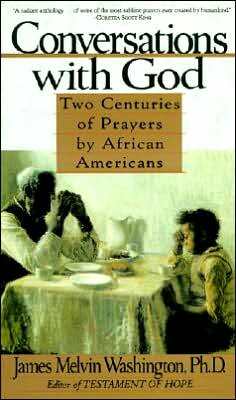 He gave me the permission and inspiration to explore the history of Asian American Christianity. Though I have not lived up to his hopes and expectations yet, my memory of him (and my experience at Union) sustains my drive to study and advocate for Asian American Christianity. Ten years ago, I wrote “Beyond Orientalism and Assimilation: The Asian American as Historical Subject” (in Realizing the America of our Hearts: Theological Voices of Asian Americans edited by Fumitaka Matsuoka and Eleazar S. Fernandez [Chalice Press, 2003]) as a tribute to James Washington. To this date, this is my favorite essay because it helped me see that my task as a historian of American religion was not merely to add the Asian American experience to the dominant narrative, but also to challenge that narrative’s construction of Asian Americans. I’m also grateful for Jim Washington’s faith and religious convictions. He was a wonderful preacher and a deeply spiritual Christian who loved the Church. I was a shy, Chinese American evangelical seminarian at Union. I wanted to get exposed to different theological perspectives but was fearful of losing my faith. As it turned out, because of teachers like Jim Washington, Union Seminary actually strengthened my faith! But that’s a different story. On this MLK day, the twentieth anniversary of the completion of my doctoral studies, I want to honor one my academic and spiritual mentors who really knew the MLK legacy and encouraged all his students to embody it! Thank you Jim Washington!